It is chartered by Darien Lions Club. 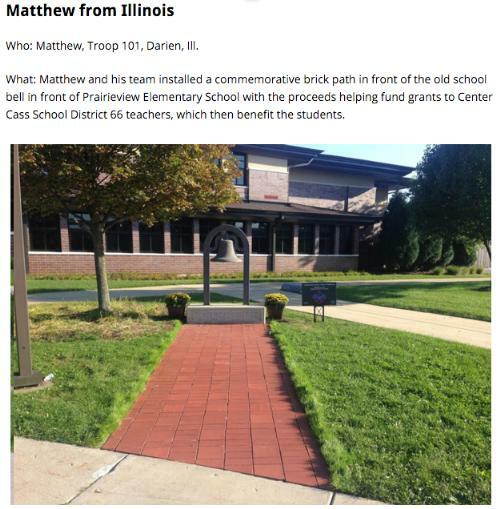 Troop 101 Eagle Scout Project project made it into Scouting Magazine's Extreme Makeover series on Eagle Projects. There are some very remarkable project on the site. To have one our projects featured on the site is nice. 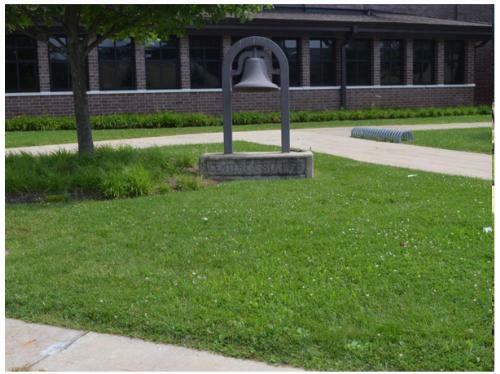 Team 66 sponsored this project that allow donors to engrave a special commemorative brick. The proceeds help fund grants to Center Cass School District 66 teachers, which then benefit the students. There was a celebration and ribbon cutting of the brick path.